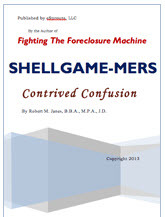 Mortgage Electronic Registration Systems, Inc., (“MERS”) is a big problem for the foreclosure machine. Its problem is your opportunity. Learn why this is so and how to use the presence of MERS to your advantage. What MERS is and is not. How it has been misrepresented to courts. How to introduce your judge to the real MERS. Why ShellGame-MERS is the better name for it. 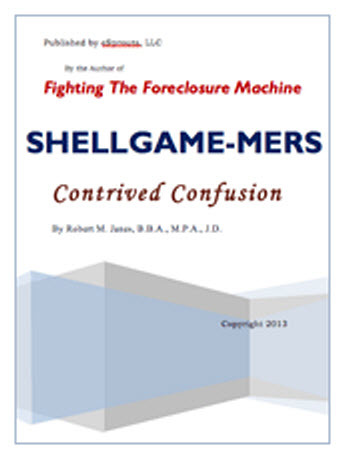 Why the mere presence of ShellGame-MERS in the mortgage is a serious barrier to foreclosure. Examples of how to draft complaints and answers in cases involving MERS. Examples of discovery requests when MERS is involved. Methodology for challenging and discrediting claimed foreclosure rights premised on anything done in the name of MERS. NOT LEGAL ADVICE: this paper provides information, not legal advice. Each person’s circumstances and facts are unique. You and your legal advisor must determine how, if at all, this information might benefit you. Every foreclosure defense attorney and judge hearing these cases should read this paper and research the issues and symptoms of the “MERS Blur” disease. Documents substantiating the paper can be found in the footnotes and many are accessible on http://www.doctelportal.com in the LIBRARY under the MERS tab. Whether or not you are in foreclosure – these issues affect you. 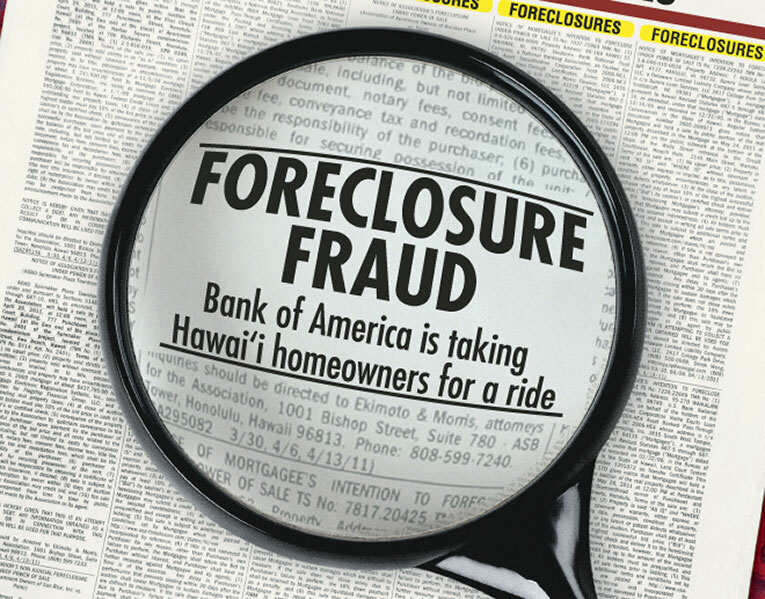 The foreclosure machine is a “land grab” much like the takeover of Hawai’i. We’re about to lose our rights to own properties in the most egregious and aggressive elimination of our due process protection and destruction of our Constitution. Lili‘uokalani was the last queen of Hawai‘i. Born in 1838, she lived through the nearly complete economic transformation of the islands. Lucrative sugar plantations (like the banks and the elite) gradually subsumed the majority of the land, owned almost exclusively by white planters, dubbed the “Sugar Kings.” Hawai‘i became a prize in the contest between America, Britain, and France, each seeking to expand their military and commercial influence in the Pacific. The monarchy (like our individual states) had become a figurehead, victim to manipulation from the wealthy sugar plantation owners (Wall Street). Lili‘uokalani was determined to enact a constitution to reinstate the monarchy’s power but was outmaneuvered by the U.S. government. The annexation of Hawai‘i had begun, ushering in a new century of American imperialism. This is exactly what is happening to homeowners across the United States – and it will happen to you if you don’t watch out! The takeover of Hawaii is a disturbing and dramatic story depicted with a cast of characters driven by greed, desperation, and miscalculation… Sound familiar? How the queen lost her kingdom says as much about America and its new era of overseas expansion as it does about Hawaii. [Source: Lost Kingdom: Hawaii’s Last Queen, the Sugar Kings and America’s First Imperial Adventure]. Now, the “land grab” has come to mainland America in a foreclosure machine meant to make a society of leasehold renters… Why? Because it appears Wall Street and the government are without enough capital to sustain themselves and they need the land as assets – yours, mine and our family lands. In 1993, 100 years after the overthrow, the U.S. government issued an “Apology Resolution” to the people of Hawaii. The apology did nothing to guarantee the basic rights of indigenous Hawaiians, who continue to struggle against the colonial legacy of oppression. Is this what we want to happen 100 years from now – after it is over? After the United States is no longer a composition of individual states – but one huge land mass owned and controlled by only Wall Street, the elite and the Washington, DC government? You need to seriously ask yourself – are you willing to allow your state to be consumed by a fraudulent foreclosure machine calculated with the intent and purpose to eliminate personal ownership in the land – so they can frack, strip the minerals, water and air rights out from under us?! If you doubt their intentions read the news propaganda [CLICK HERE] and the patents [CLICK HERE]. See the patents in DeadlyClear’s REMIC Armageddon on the Horizon? You will see Mortgage Electronic Registration Systems, Inc. is a significant instrument necessary in the land grab. Morgan Stanley doesn’t see this shift to rentership as a temporary waypoint while the country sorts out its housing problems; it sees this as a fundamental shift in how the United States will define itself into the future. “America is moving away from a home ownership society and towards a rentership society,” the company says in its 2011 report. Of course it is if the Wall Street elite have anything to do with it, given the foreclosure machine, the fraudulent use of the MERS Blur Gang and history itself. Bottom-line is that the states must wake the hell up. Wake up your legislators and your state courts. Encourage them to read of Robert Janes ebook ShellGame-MERS: Contrived Confusion. Make it the topic of your conversations at community meetings and among friends and family. If you doubt how serious the land grab situation is – just ask any Hawaiian. Their land was taken away – and yes, they got some of it returned where they can lease it for 100 years – and then its over … no more theirs. Do you think they have a reason to be angry? 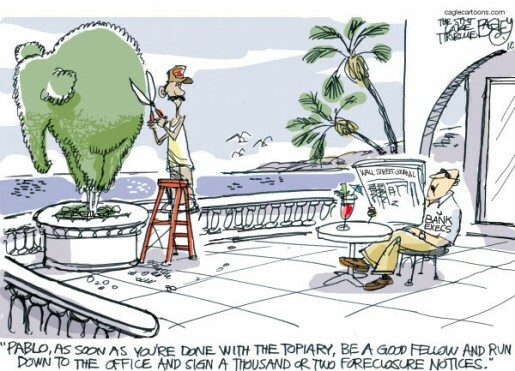 Well, that is exactly what is happening with every fraudulent foreclosure. AG Jack Conway Calls MERS a Ghost and a Front – Files a Lawsuit Against MERSCORP Holdings, Inc. HYPOTHETICAL LIEN THEORY LIVES – Bye Bye MERS! Many thanks to KHanks, GCaranchini, DKrieger and ShellGame-MERS author Robert Janes for bringing this ebook to Deadlyclear’s attention. This entry was posted in Uncategorized and tagged "Fighting The Foreclosure Machine", "land grab", "Wall Street", America, Apology Resolution, Britain, business, deception, economy, foreclosure machine, frack, France, Fraud, Hawaii, Hawaii's Last Queen, Inc., Lili‘uokalani, MERS, MERS Blur, Morgan Stanley, Mortgage Electronic Registration Systems, Occupy Wall Street, oppression, politics, Quiet Title, real-estate, REMIC Armageddon on the Horizon?, Robert Janes, ShellGame-MERS, ShellGame-MERS: Contrived Confusion, strip the minerals, Sugar Kings, Summary Judgment, United States, water and air rights, www.doctelportal.com by Deadly Clear. Bookmark the permalink. 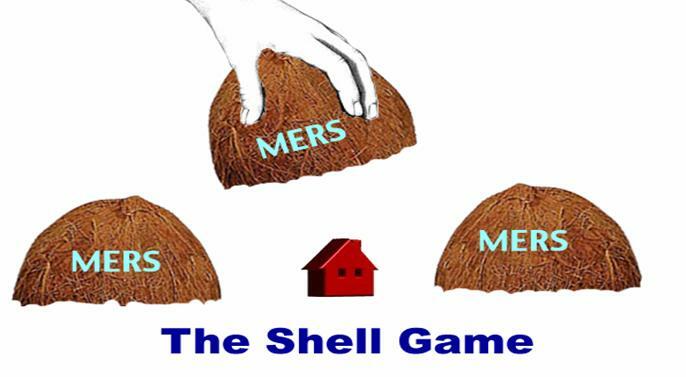 As Kentucky AG Jack Conway said when he sued MERS: MERS is nothing more than “a ghost” set up by the mortgage industry (the same and repeated abusive banks who are shareholders for MERS) to avoid complying to state laws. People need to pay attention to who they actually apply for a mortgage loan and if that mortgage lender is a shareholder for MERS before they sign on the dotted line for a mortgage. Federal Reserve Act back in 1913 . Do not legal these Banksters to fraudulently take over all mortgages or land in this country. They are trying to make their fraud legal! It is a UN Banksters Agenda 21 take over!